How Do You Use It? 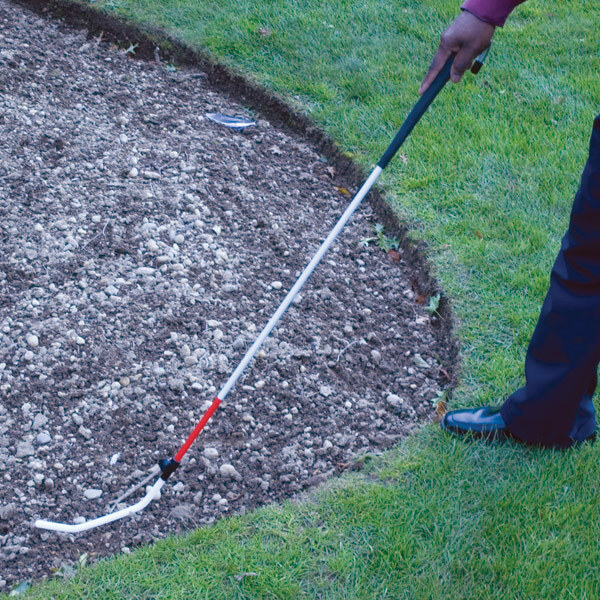 Hold the cane out ahead of you with the curved nylon tip resting on the ground. As you walk, swivel your wrist from left to right, so that the tip moves along the ground in an S pattern, much like the movement of a snake. The curved tip should remain on the ground at all times. The long nylon tip has a 3" curved piece at the top, a 6" straight middle section and a 3"curved end piece that prevents snagging. 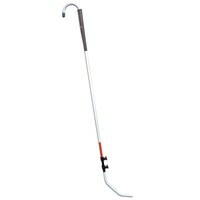 The cane features a golf style handgrip with a 3.5" diameter hook at top end. There is white reflective tape on the upper shaft and red reflective tape on the lower portion. 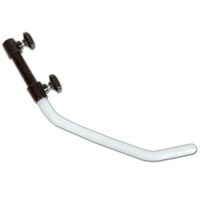 Available in lengths of 38 to 58 inches, in even increments, in both rigid and folding models. 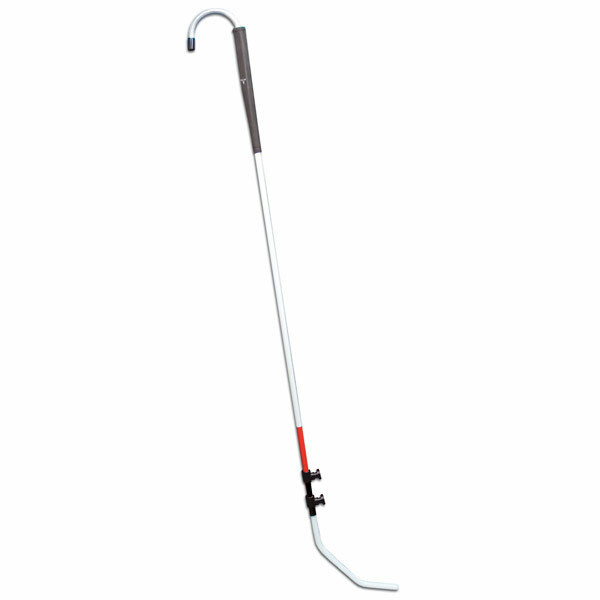 Purchase an optional interchangeable Bulldog Rolling Cane Tip and give yourself the flexibility to convert your All Terrain Cane to a traditional cane for use on paved roads and sidewalks. (See Related Items.) Note: When a Bulldog Tip is attached, the cane will be approximately 3 inches shorter than it is with the curved All Terrain Tip attached.